Hand-Sculpted And Painted With Artistry And Realism. This desktop sized model is faithfully recreated from a live athlete. 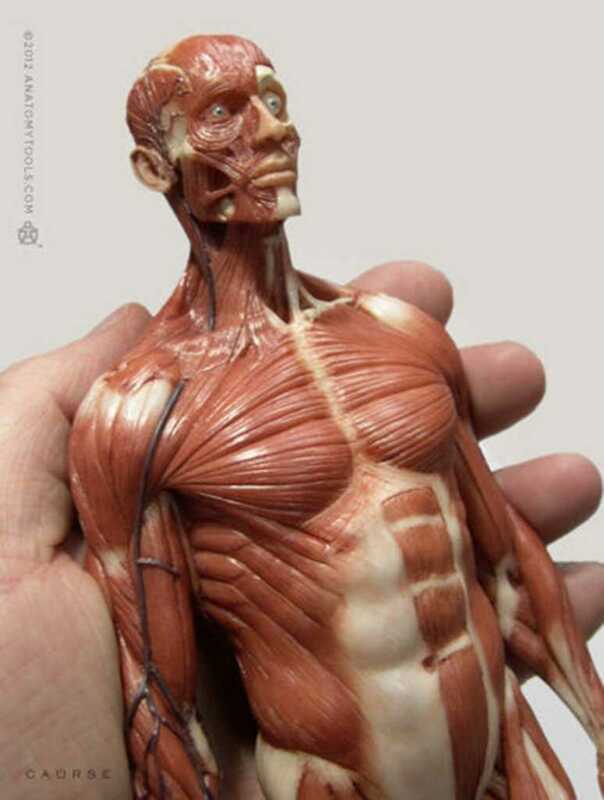 Hand sculpted and painted with incredible detail and realism, showing the rarely displayed platysma muscle, fascia of the body, exposed bone and vascular system. 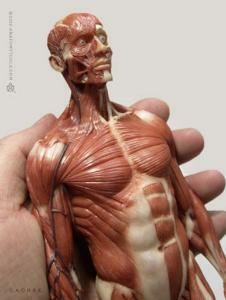 Perfect for reference, teaching or study, matches the skeleton and anatomy male.